This unique book provides the first introduction to crystal base theory from the combinatorial point of view. Crystal base theory was developed by Kashiwara and Lusztig from the perspective of quantum groups. Its power comes from the fact that it addresses many questions in representation theory and mathematical physics by combinatorial means. 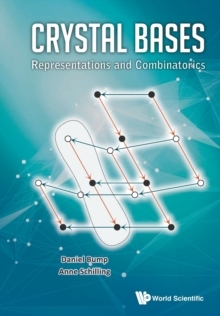 This book approaches the subject directly from combinatorics, building crystals through local axioms (based on ideas by Stembridge) and virtual crystals. It also emphasizes parallels between the representation theory of the symmetric and general linear groups and phenomena in combinatorics. The combinatorial approach is linked to representation theory through the analysis of Demazure crystals. The relationship of crystals to tropical geometry is also explained.